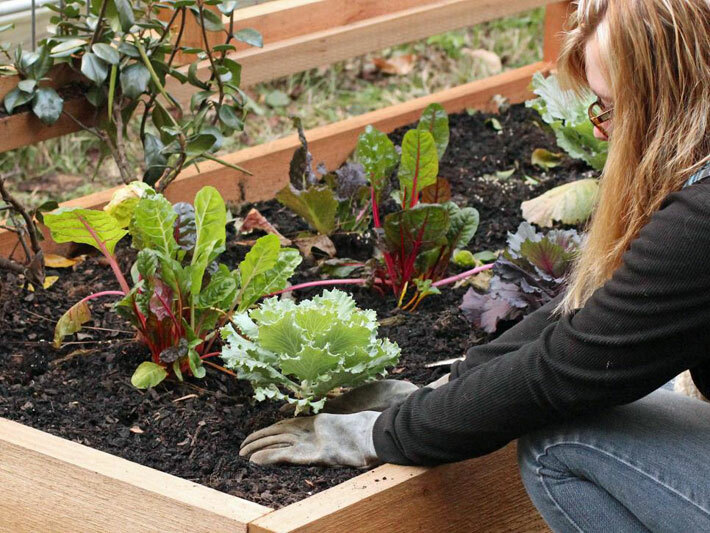 Raised beds make gardening easy. Get step-by-step instructions for constructing a raised garden of your own that will last for years. 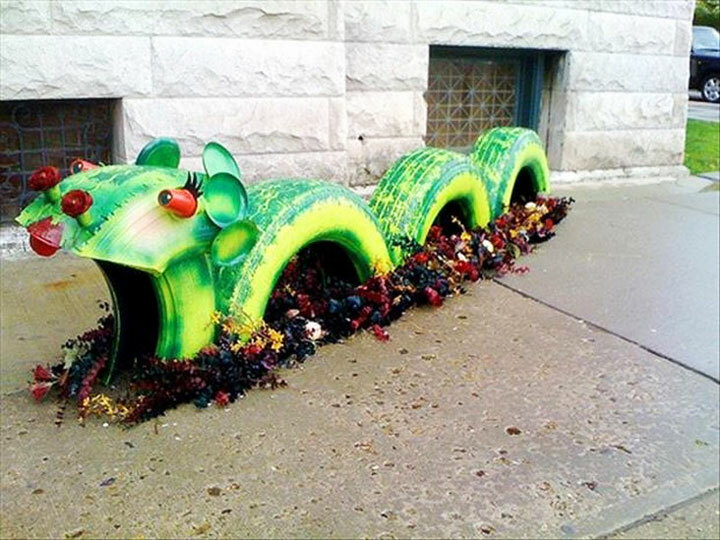 Raised beds drain more efficiently, give the gardener more control over the location and soil quality, and can help keep out pests like moles and rabbits. The best part? You can build one in an afternoon. 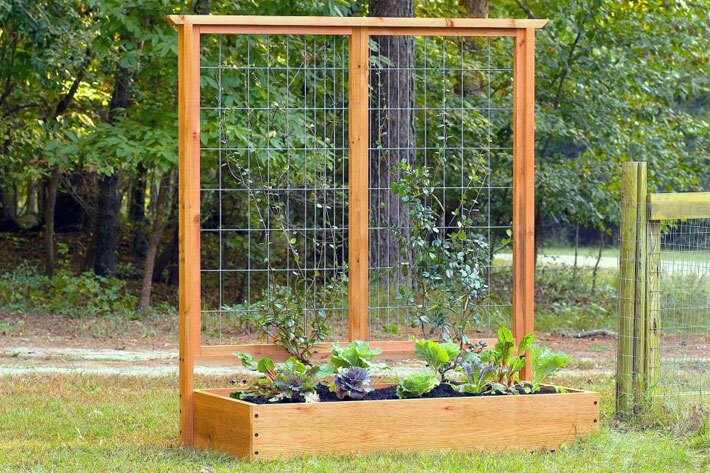 This raised bed and trellis combo uses rough-sawn cedar, which is weather-resistant, insect-resistant and looks good, too. Measure and cut two 6-foot and two 3-foot lengths from the 2″ x 12″ cedar planks. These pieces will be assembled to form the raised bed. Measure down half an inch along the 2-inch side of a 7-foot long 2″ x 4″ board and cut a 45 degree angle at both ends to chamfer (bevel). 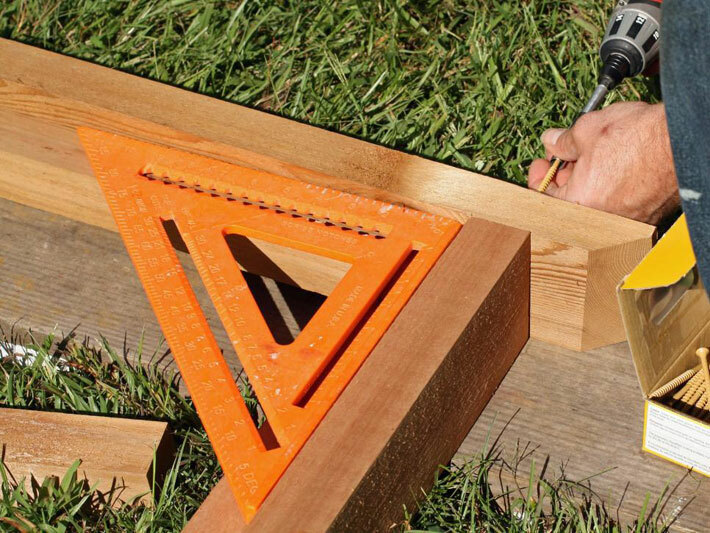 This angled cut provides a more finished look to the top rail of the trellis. 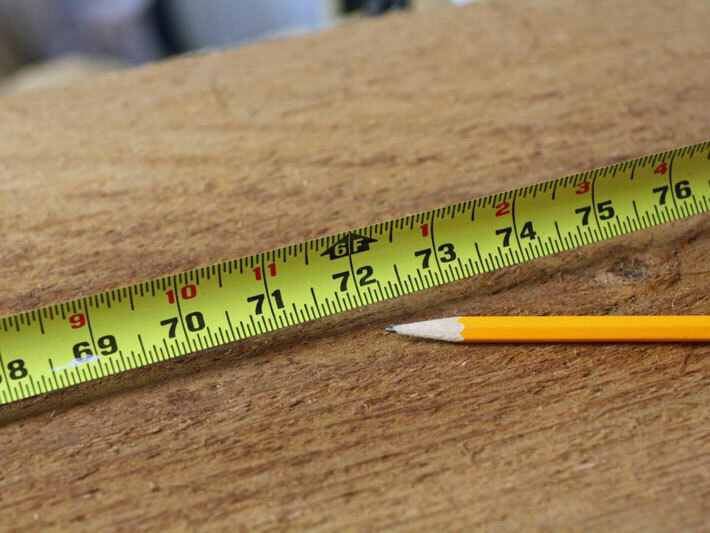 Measure and cut four 32-inch lengths and four 66-inch lengths of 2″ x 2″ lumber. These pieces will be used to construct frames, to which fencing will be attached to create the trellis. 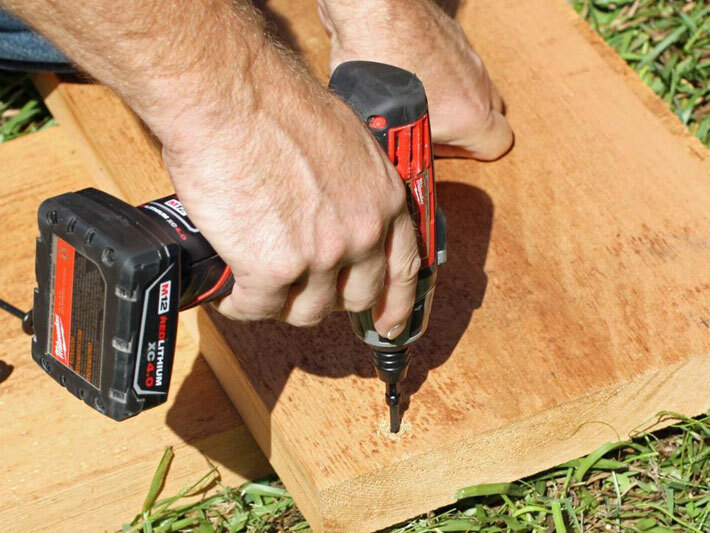 Measuring one inch from the ends of each 6-foot plank you cut for the bed, drill three holes spaced 3-inches apart. Drilling pilot holes for the lag screws reduces the possibility of the wood splitting during assembly. 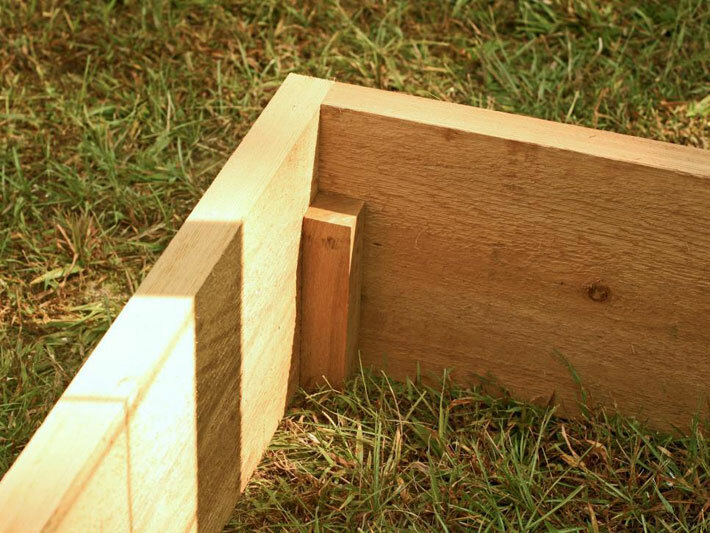 Using twelve 4 1/2-inch lag screws (three at each corner), build the bed by driving lag screws through prepared holes into the ends of the 3-foot planks. Make sure all edges are square and that they don’t overlap. 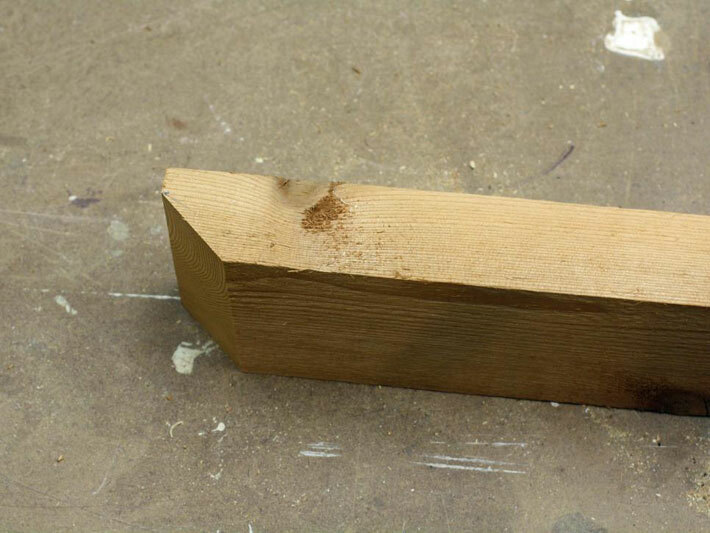 The thick cedar used here will hold up just fine without any stabilizing posts, but you may need to nail square stakes on the inside of each corner if you’re using a more lightweight wood. 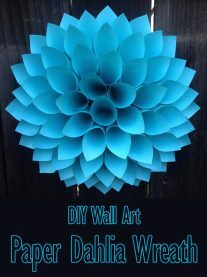 Use finishing nails to attach the 66-inch 2″ x 2″ to the 7-foot 2″ x 4″ board, flush and centered at one end of the board. Repeat this step with the second 66-inch plank. Make sure you are working on a flat, stable surface—here we used scrap lumber to create a flat level surface to work on. 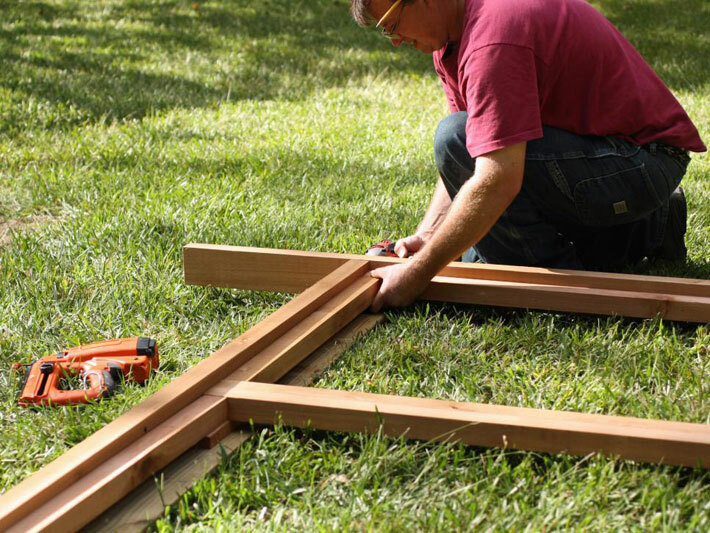 Lay all pieces of the trellis and fence frame together; ensure the pieces will fit together snugly and that the corners are square. 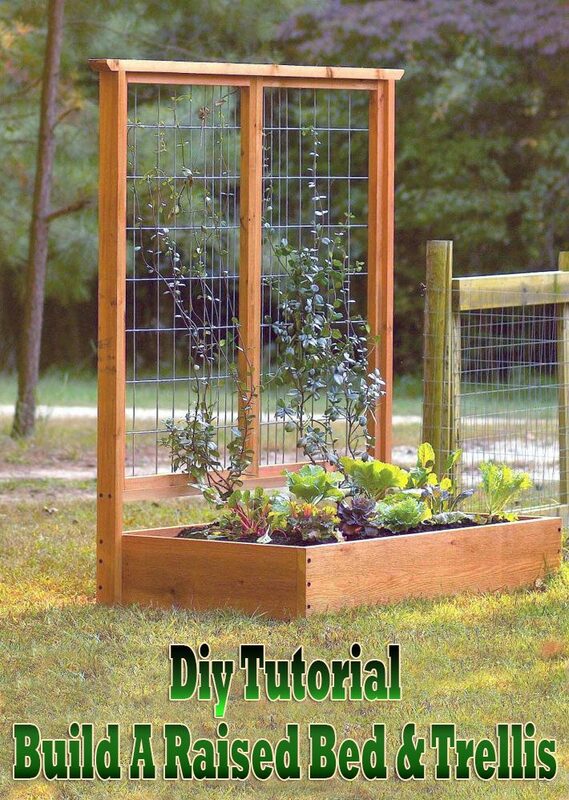 The unattached 66-inch 2″ x 2″ fence frame sides should meet in the center of the trellis. The 6-foot 2″ x 4″ serves as the bottom rail. 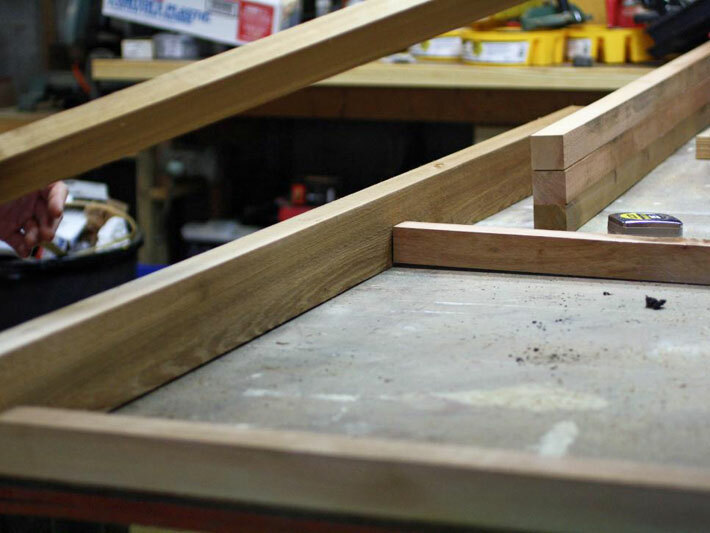 Center the top rail on the frame so that the chamfered ends overhang the sides of the trellis evenly at each end. 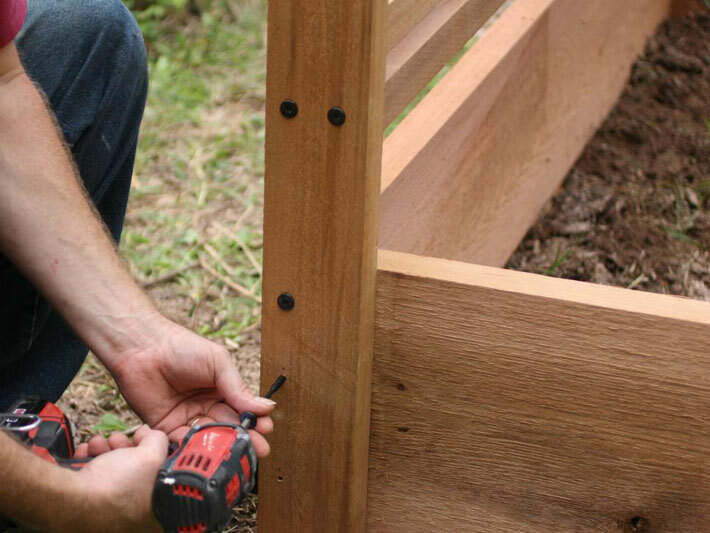 Confirm that the corners are square, then attach the top rail to the trellis sides using deck screws. 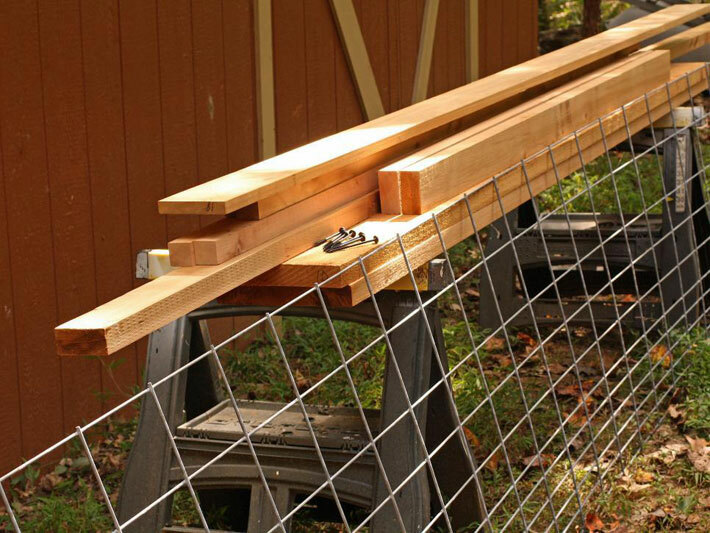 With the fence frames inserted, attach the 6-foot bottom rail to the trellis sides using two 4-1/2-inch lag screws. 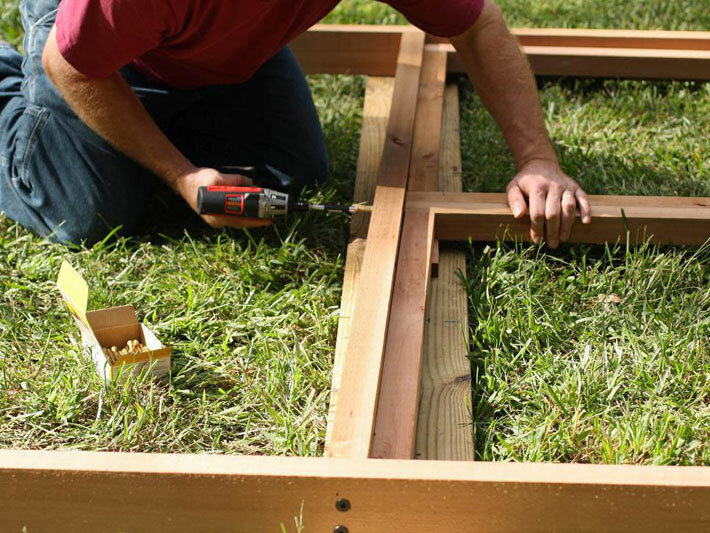 Use 3-inch screws to attach the fence frame to the trellis. Attach the top and bottom rails using finishing nails. 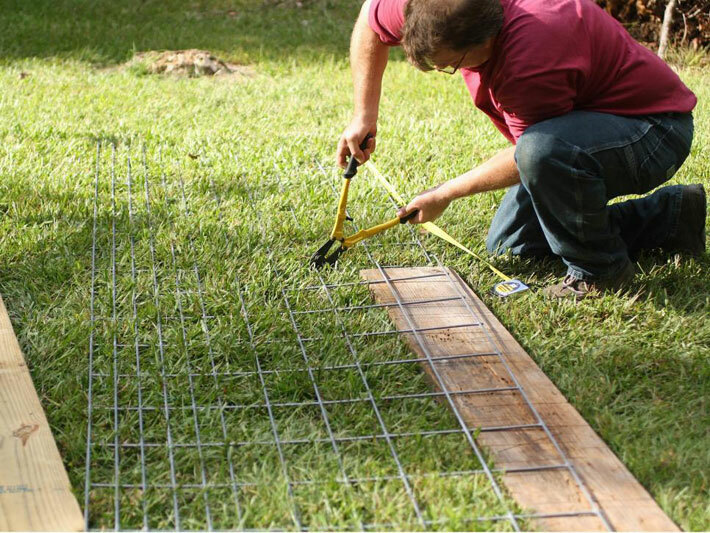 Measure two 66-inch lengths of hog fence and cut using bolt cutters. Hog fencing is sturdy, inexpensive and attractive, but nylon netting or other materials may be substituted, if desired. 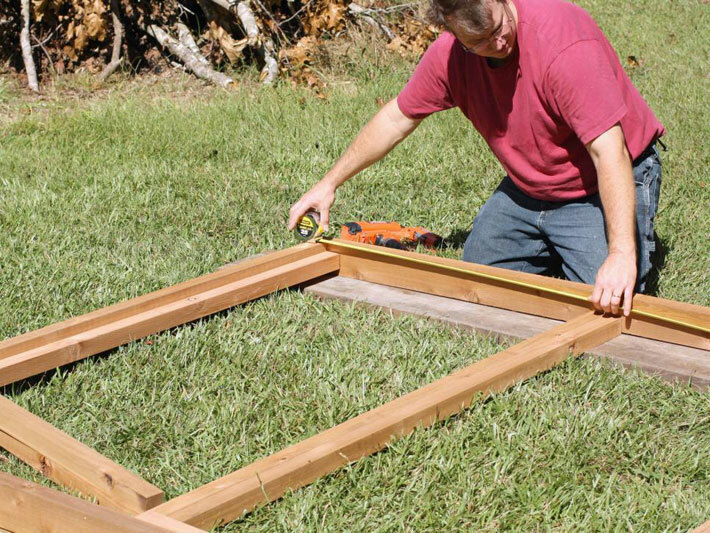 Place the cut fence panels into the frame. Secure the fencing on all sides of the frame using coaxial cable clips. 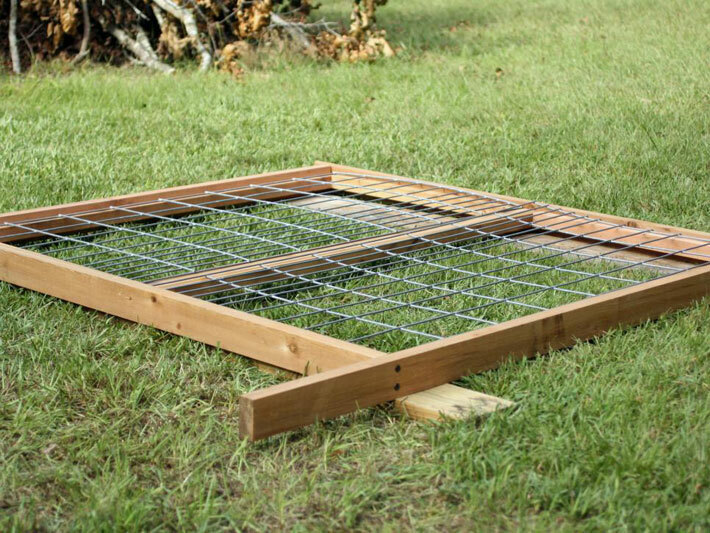 On a level surface, slide the trellis over the ends of the raised bed. 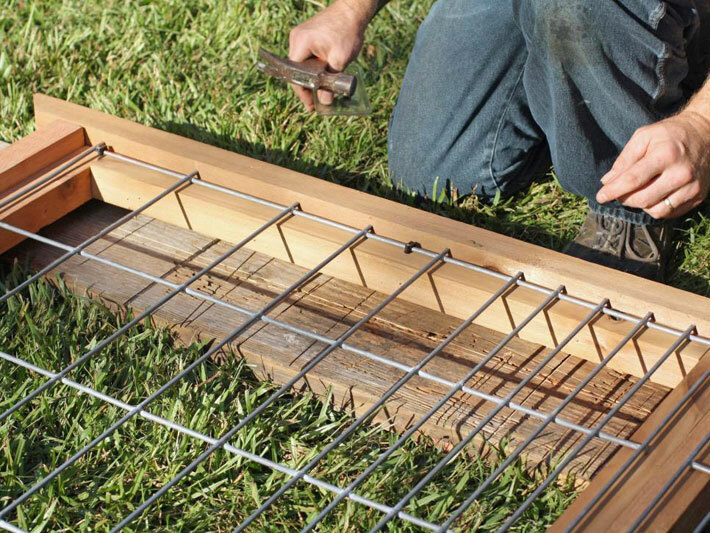 With the base of the trellis resting on the ground, use a level to make sure the sides are even, then use three 4 1/2-inch lag screws on each side to attach the trellis to the raised bed. 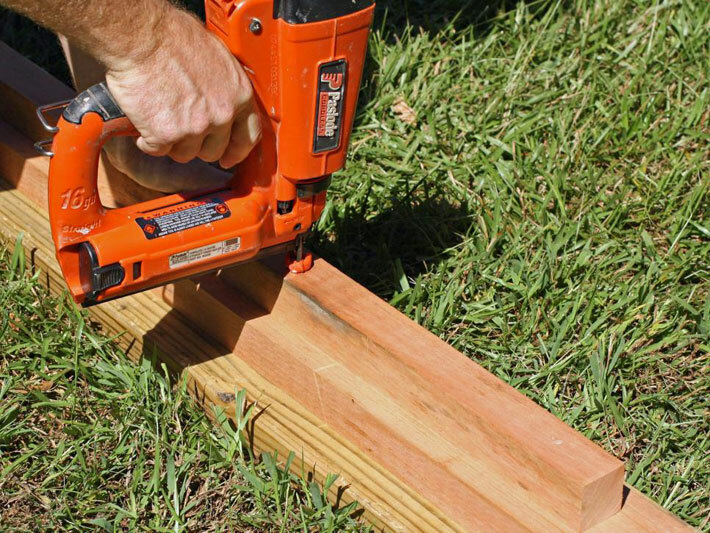 Cut four stakes at least 12-inches long from 2″ x 2″ lumber. Select a location for the bed (make sure to choose a spot that receives at least 8 hours of sunlight each day for best results), then hammer stakes into the ground inside each corner of the bed. Fasten with 3-inch screws to prevent possible tipping. 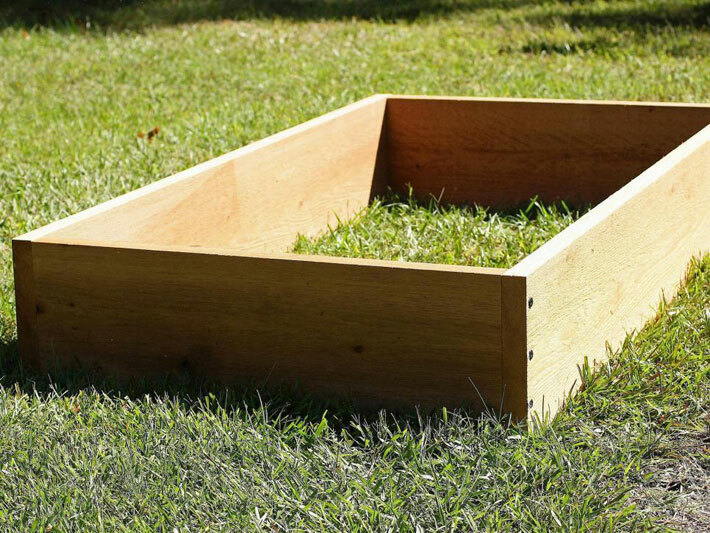 To prevent weeds and grass from growing in your new bed, cut away the sod before anchoring it to the ground, or smother the grass by lining the bed with newspaper, which will decay over time. Those building a raised bed in the fall can try this trick for a thriving garden next spring: After lining with newspaper, add a layer of seed-free straw, blood meal, burlap (in case seeds make it into the straw), composted cotton burr, shredded leaves, another layer of blood meal and compost followed by potting mix. 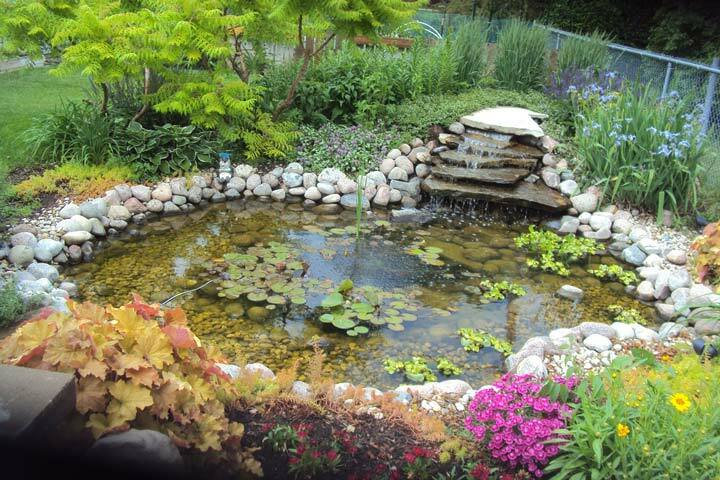 Leaving this to “stew” over the winter will create a nutrient-rich planting area that is ready to go once spring arrives.